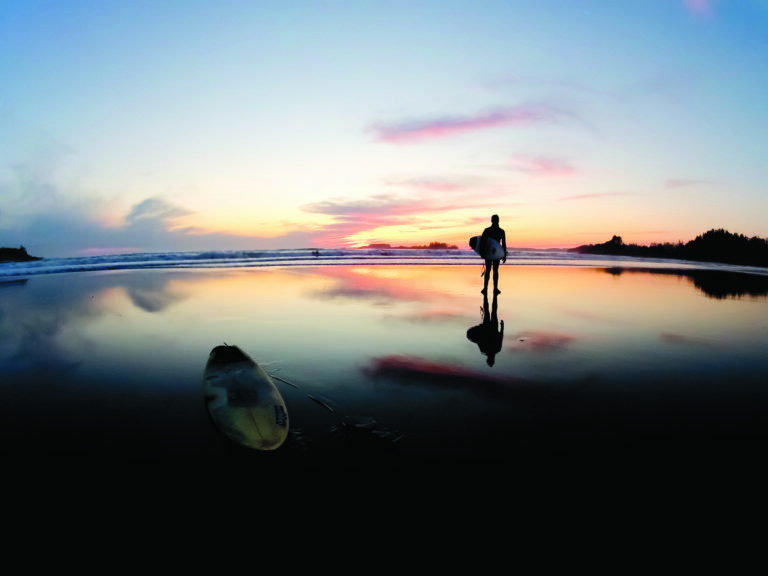 The Surf Club Adventure Centre at Long Beach Lodge offers luxurious spa-like facilities for our guests & is home to our surf school, paddleboard (SUP) school, & Marine Adventures. 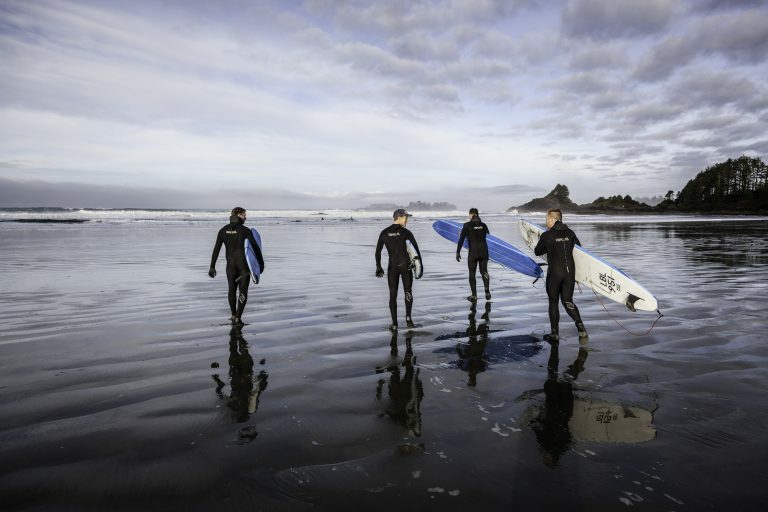 Long Beach Lodge Resort’s Surf Club Adventure Centre is a one-of-a-kind facility, a first in Canada, and it has set a new standard for the surfing world. This facility offers professional, customized surf and stand up paddleboard (SUP) lessons, full equipment rentals and spa-like amenities including: change rooms, showers, hot pool and sauna. 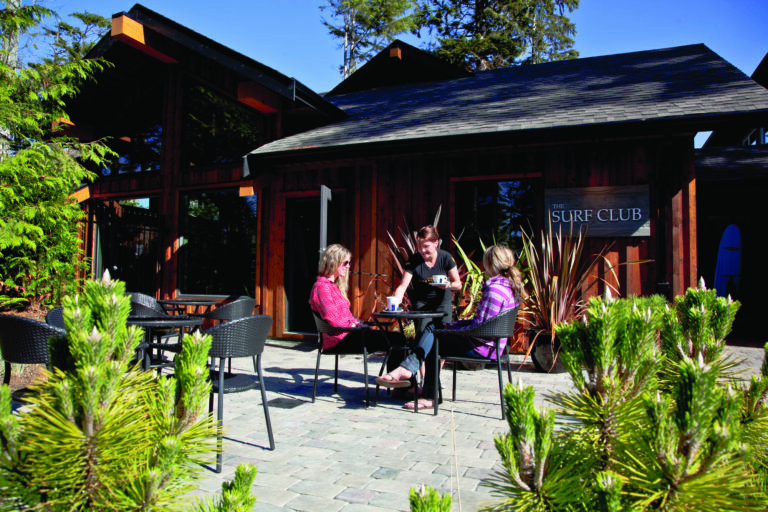 The Surf Club Adventure Centre is located just across the parking lot from the Lodge. Come and sip on a latte or cappuccino and check out all of the great stuff in the Gift Shop. The shelves are stocked up with a great selection of t-shirts and outerwear as well as unique, local specialty items including jewelry and bath products. 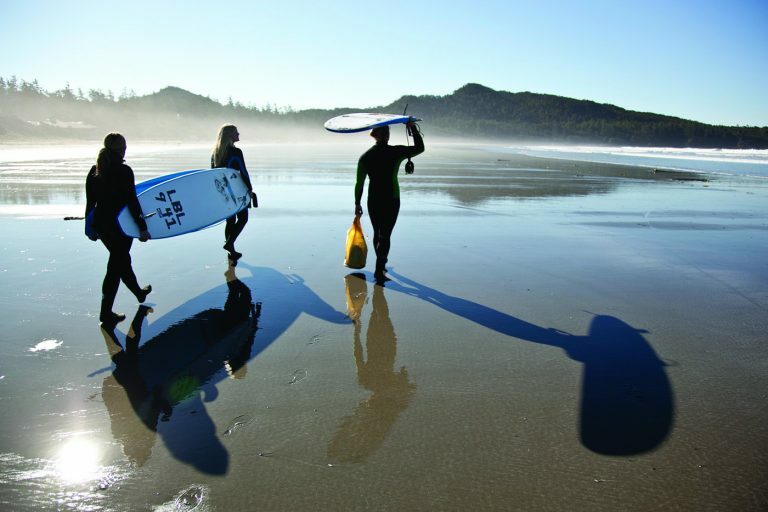 Please Contact us at 250-725-2442 or email surf@longbeachlodgeresort.com to book a lesson today. 1 on 1 customized private surf lessons which include 2.5 hours with a certified instructor and surf rentals for the remainder of the day. We offer a 2.5 hour basic flat water introductory lesson. Lessons held at Mckenzie beach , or the Inlet. lessons held at Mckenzie beach , or the Inlet. rentals to use for the remainder of the day. Open to all ages 13 and up. Great way to meet new people and share the same amazing new experience. When renting surf gear from the surf club you also get full access to our luxurious spa like facilities. 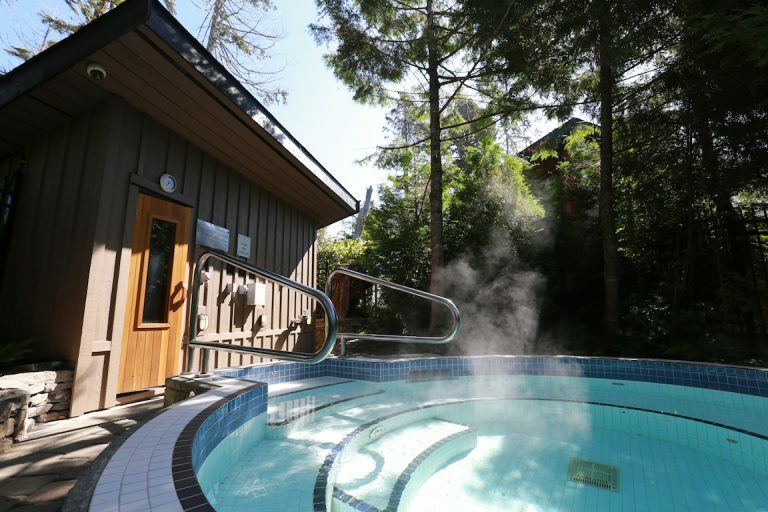 Warm dry changing rooms, fitness center, hot showers, hot tub, and sauna! We are just steps away from the beach so you don’t have to load your car with any wet gear or board’s. It’s that easy!